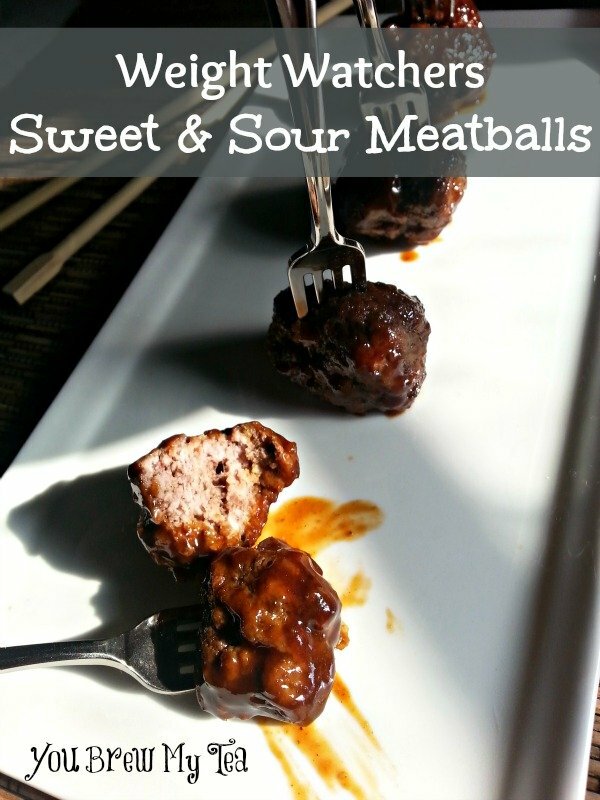 These Sweet and Sour Meatballs are a perfect super easy Weight Watchers appetizer to make, toss into your Crockpot and enjoy with guests. With the new updated Weight Watchers FreeStyle Plan, these are only 1 SmartPoint per serving! A great meatball recipe starts with amazing flavor in the seasonings. When you are trying to eat healthier, as we always are, then you want to cut out some of the fat. Traditional meatballs include both beef and pork, and occasionally sausage. That means there is a lot of added fat that just adds calories. Yes, when you make with lean ground meat, you sacrifice a bit of the moisture and flavor, but we kick up the sauce to really make a difference. In a large bowl, mix together ground meat and spices (salt, pepper, onion powder, garlic powder, paprika, and cumin). Mix until well blended. In a small bowl, mix together the teriyaki sauce, BBQ sauce, apple cider vinegar, and brown sugar twin. Add 1/4 cup of sauce mixture to meat mixture and mix well. Bake at 375 degrees for 10 minutes. Turn meatballs, and cook for additional 10 minutes. Remove from oven and toss with sauce until well coated. Add ¼ cup of sauce mixture to meat mixture and mix well. 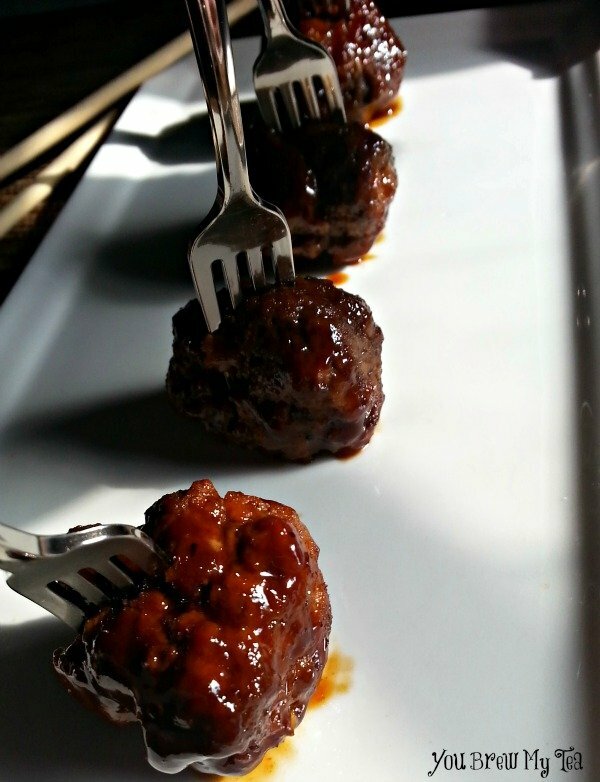 These yummy sweet and sour meatballs are a great and easy appetizer to share with friends and family at your next event. Use fun little toothpicks or cocktail forks like we did to make them easy to grab and eat as an appetizer.